If you’ve known me for very long you know how much my family and I love Italian Stuffed Shells. Making triple batches of this pasta helps keep us stock-piled for a while or ready to share with other families. But how do you have them ready when you walk in the door for Sunday lunch? How does this recipe fall into the Fast Food for Slow Sundays category? 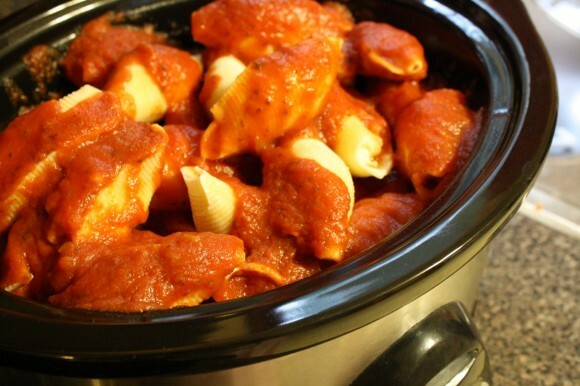 The slow cooker of course. Simply pull out, from the freezer, the number of shells you need to serve your family. Douse with spaghetti sauce and turn on low. Maybe put a touch of water in with the slow cooker. Not much – maybe 1/4 cup. 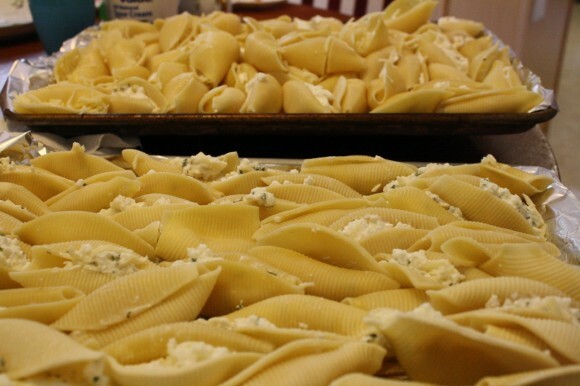 Then you’ll have shells, ready to serve for Sunday lunch. All you’ll need to do is add a topping of mozzarella cheese before serving. Okay – that’s brilliant. 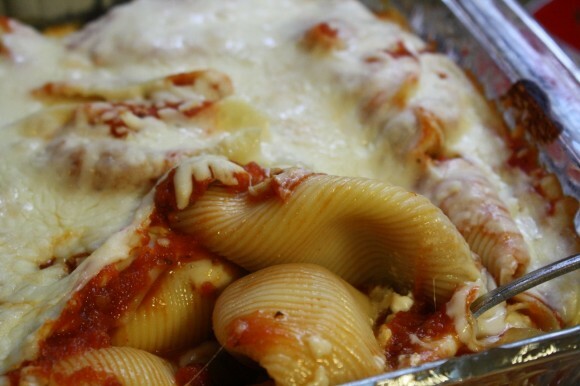 Never thought about flash freezing the stuffed shells apart from the sauce. BRILLIANT I say! Thanks for the idea! Well, thank you Kathy! But I believe that idea came from a Once a Month Cooking cookbook. And I went pretty bonkers with it. Tripling and making a ton of them and flash freezing. 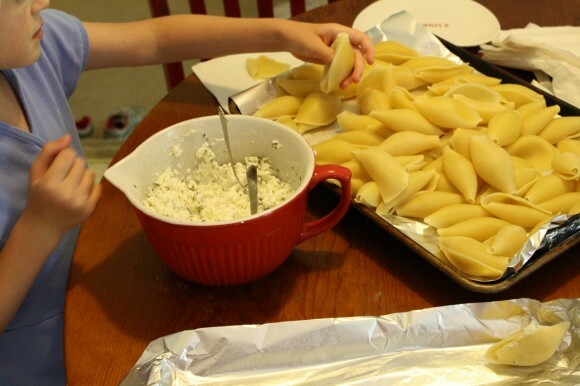 See, stuffed shells are a bit labor intensive I think (though having scooping helpers around is a plus) so making a bunch at once is the way to go! Love to be able to pull out just what we need and still have more in the freezer. PS, it is a TON of work for those esp when I don’t eat them! Thanks for this delicious recipe, I gonna try this one, hopefully my kids will love it.